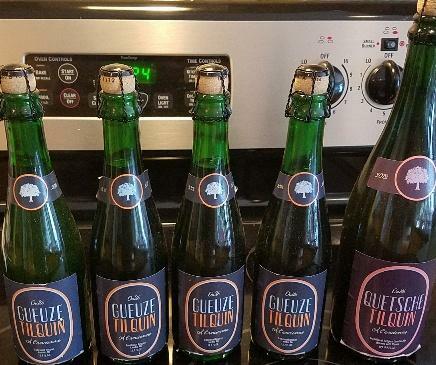 This auction is for 4 bottles of Tilquin Gueuze 2010-2011 + 2011-2012 + 2012-2013 + 2013-2014 And 1 bottle of 2012-2013 Quetsche Tilquin. 5 bottles total. The 4 gueuze are 375 size and the quetsche is a 750. These are the earlier years! These were purchased by me and stored properly. Shipping will be with FedEx to US lower 48 states. Payment only through PayPal. Please pay within 24 hours of purchase and shipping will be asap but within 3 days of receipt of payment. Shipping will be included in the price!